Requirement: Change Timezone in SharePoint Online. How to Change Timezone in SharePoint Online? Site Settings >> Click on "Regional Settings" under "Site Administration"
In Regional settings page, You can set time zone, locale and other regional settings. Click on OK located at the bottom right of the page to save your changes. Please note, You must have Site collection Administrator rights on all SharePoint Online Site collections in order to change the Timezone Regional settings. 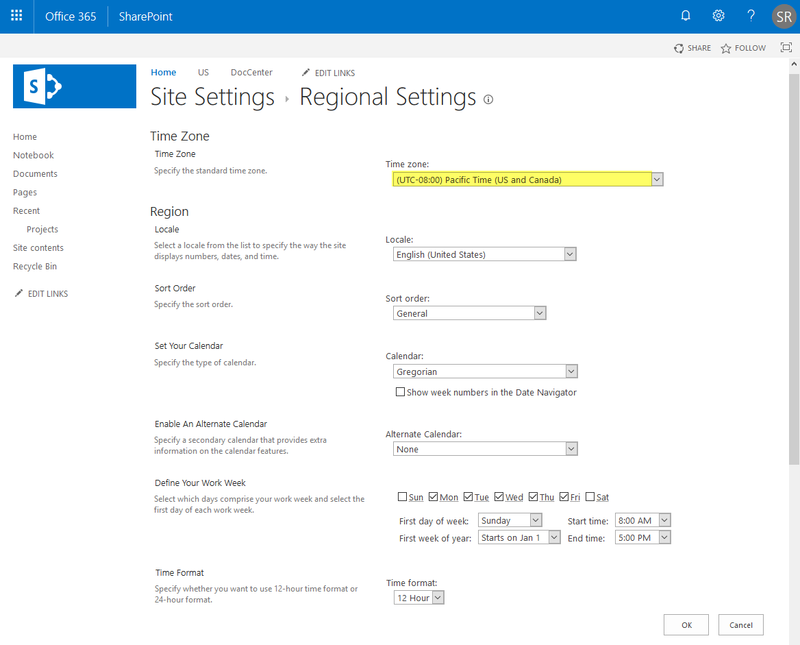 We need either the ID of the time zone or description in order to update timezone of a SharePoint Online site. 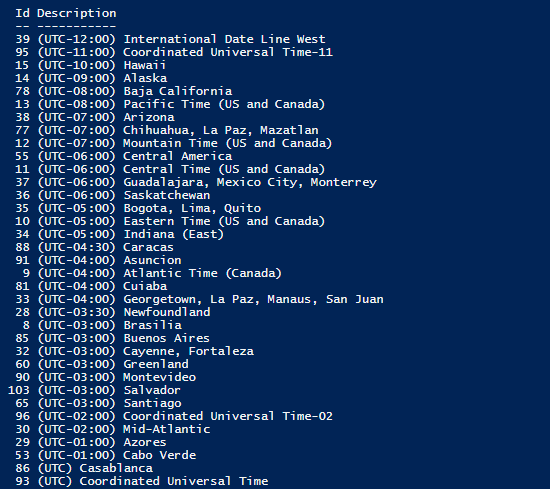 To get list of time zones, you can either pick it from the Time zones drop down of the above page or use this PowerShell to get all available time zones list. This retrieves all available time zones ID and description fields. Once you obtained the time zone ID or description, You can change the time zone of a site using PowerShell script. $TimezoneName ="(UTC+04:00) Abu Dhabi, Muscat"
This PowerShell sets default timezone of the SharePoint Online site. As time zone settings are managed at site (web) scope, setting time zone on each and every site is cumbersome. Time zone settings at the top level site collection doesn't affect/propagate automatically to sub-sites. So lets change timezone for SharePoint Online site collection using PowerShell. We can set the time zone for all site collection in SharePoint Online - tenant wide using below PowerShell script. This script simply loops through all sites and changes the default timezone. Just set $AdminSiteURL and $TimezoneName variables in the script and provide the credentials to connect to SharePoint Online Admin center once.